I choose Optometry because I am able to help patients improve their vision and maintain healthy eyes.The eyes reflect so much about our general health and I promote good health and wellness in my eye care practice. 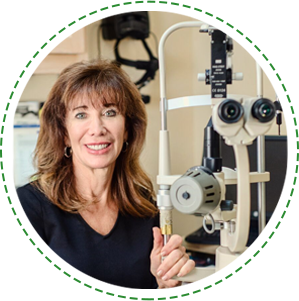 I have been in practice here in Arlington for over 30 years and am considered one of the leading eye care practitioners in this area. I am trained to diagnose and manage very complex vision disorders including Keratoconus, Diabetic eye conditions and dry eyes. In my free time, I enjoy time with my daughters, Kelsey and Karli. My interests include fitness training, yoga, running, and competing in cutting horse events. I also enjoy traveling and attending continuing education in the field of Optometry. BS in Biology, University Of Houston, 1982.